Technodeal emerged from a family-owned industrial scale construction company. Initially a small scale program, it soon became an ambitious project. We are developing a totally autonomous scale system that’s intelligently creating and forwarding all the necessary data to any requesting department. Every company has its own way of doing certain tasks and we are adept at tailoring our scale software accordingly. Anything digital is possible. Security and stability are obviously very important in today’s digital world. UPS, database cloning and active logging are crucial in our systems. We are in the business of automating the industrial weighing process and data management by supplying and installing all the necessary hardware and software. Unlike competitors we are neither manufacturing nor developing intelligent scale indicators and terminals. Our semi-automatic and automatic scale solutions are operated by a robust AI that can be monitored and controlled from any Windows PC. This means we can tailor our software to meet almost any requirement. Technically we are providing a custom software application and automation hardware for companies that are using a digital scale as a base of their operations. Functionally we are creating an artificial intelligence responsible for the weighing process and data management, tailored to customer needs. We call a scale “semi-automatic” even when it requires only minimal human interaction. Handling private customers and adding new load types or new materials to the register are the most common tasks an operator is still needed for. When compared to manual scale systems and even digital scale solutions without proper scale software, our tailored SAS usually halves operator workload. Semi-automatic solutions are ideal for waste management centers, construction companies, agricultural applications, pulp&paper mills and logistics. Semi-automatic scale solutions still require the presence of a human scale operator as some data needs to be entered manually through ScaleBOSS software. 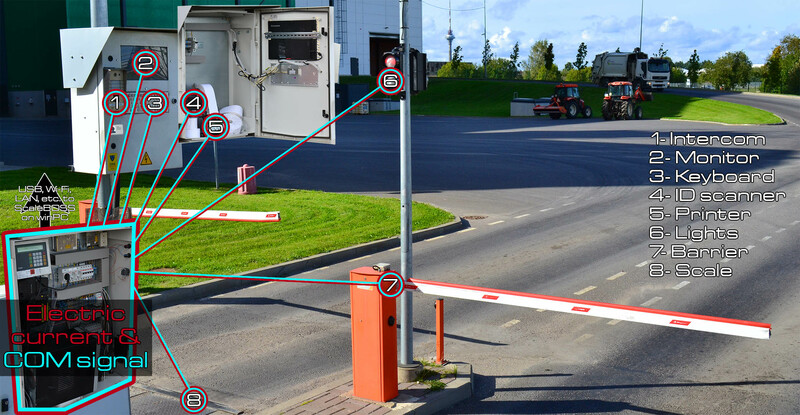 Traffic lights, ID scanners, barriers and printers are basic components of this platform. Operator is usually needed to verify the load type and handle private customers. The cheapest, fastest and most reliable way to handle industrial weighing in the 21st century will be without any human element/error. Currently we aren’t quite there yet as driverless vehicles are a few years away. 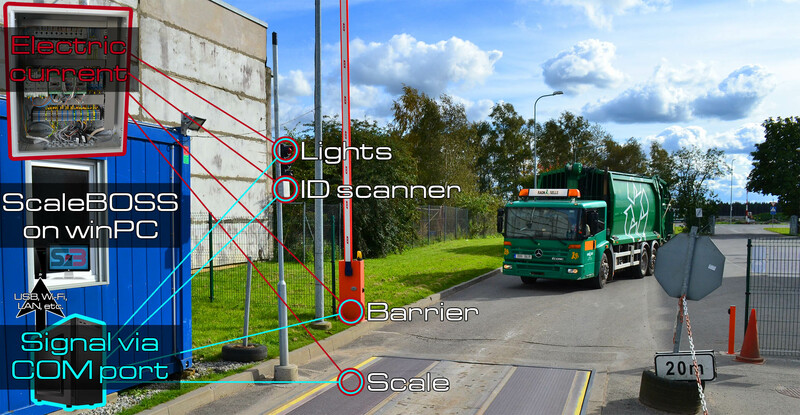 Our automatic solution relies on ID scanners for identification, monitors and keyboards to allow drivers enter different load types and materials, printers for instant receipts and intercoms for assistance. Private customers can use temporary ID cards. Automatic solutions are suitable for power plants, mining facilities, lumber mills and refineries. Automatic scale solutions don’t require human operators as all the necessary data is entered by the drivers themselves. Monitors, keyboards and printers enable the scale to operate 24/7 without host company intervention. Intercoms can be forwarded to mobile phones. Not suitable for working with many private customers.